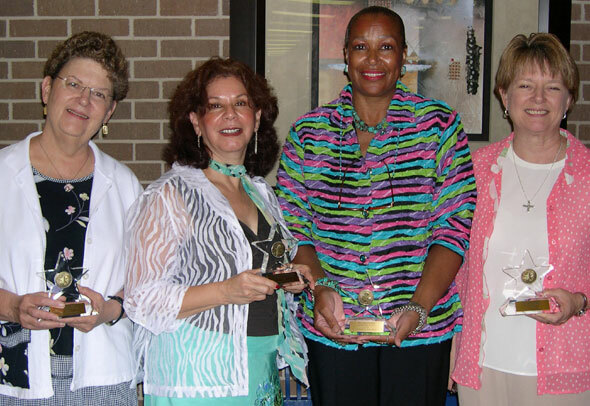 "Outstanding" award winners recognized at Monday's COE luncheon include (from left): Mary Ann Bell, research; Rebecca Robles-Pina, grantsmanship; Alice Fisher, service; and Sharon Lynch, teaching. The College of Education awarded four for their ‘outstanding’ work and named one the first recipient of the Merchant Scholar Award at a luncheon on Monday. Rebecca Robles-Pina, Mary Ann Bell, Alice Fisher and Sharon Lynch were all selected by their peers as recipients at the second annual ceremony, held this year in the Teacher Education Center. Robles-Pina, associate professor in educational leadership, was awarded the “Outstanding Grantsmanship” award. “ Dr. Bell is an up-and-coming researcher in our department,” one colleague said. Fisher, chair of the health and kinesiology department and associate professor in educational leadership, received the “Outstanding Service” award for her ability to pour “every bit of herself into the work, even if she is serving in a ‘temporary’ capacity. “ She makes learning interesting,” one student wrote. “Her lectures are easy to follow and travel with the learning of the students rather than cramming difficult-to-connect facts into an hour and a half. “ She also cares deeply about her students,” the student continued. Fred Lunenburg was awarded as the Merchant Scholar. In addition, Fred Lunenburg, professor of educational leadership and counseling, was selected as the first recipient of the Jimmy Merchant Scholar Award, named after the professor emeritus. Among the criteria for selection of the award are that the recipient must be a full-time, tenured professor, nationally-distinguished and recognized and has brought national recognition to SHSU, and has a significant record of service to SHSU, teaching and leadership, according to COE dean Genevieve Brown. “ It is indeed an honor to present this award, though I don’t know if I was ever a scholar,” said Merchant. 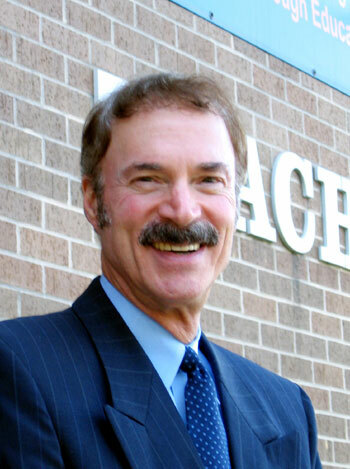 An author of the textbooks that were used at SHSU before he came to the university, Lunenburg was so nationally known before accepting the position at SHSU that Merchant said he did not think Lunenburg would accept the position here, as Lunenburg had received offers from two other prestigious universities before selecting SHSU. Lunenburg will retain the title of Merchant Scholar as long as he is at SHSU.